Photos of Reggio Emilia, an italian city. I was there only for a few hours on the 19th of July 2009. I made these images with a Panasonic TZ7/ZS3. 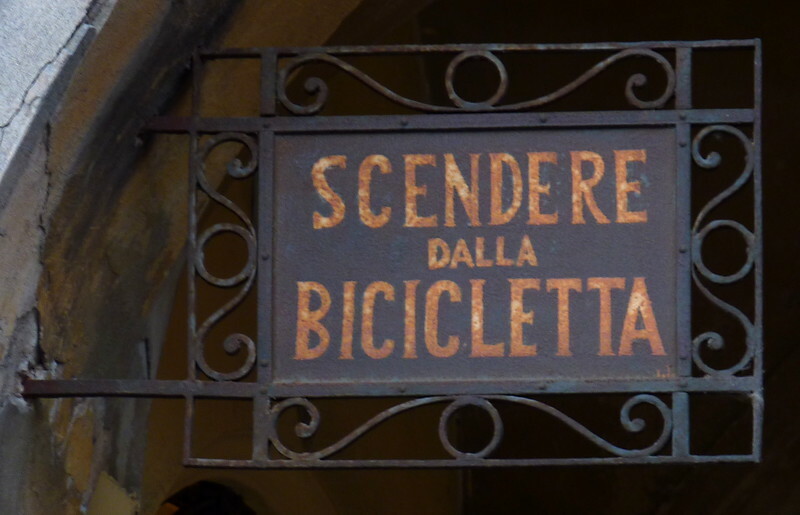 Piazza Duomo; scendere dalla bicicletta. The sign says "Dismount bike".